Concentrated veal stock is a wonderful, wonderful thing. Any veal stock is good. Use it in your cooking. But concentrated veal stock – that’s magic. Concentrating it makes it easier to store in the freezer. That way, it’s just there and ready when you need it. And you will need it with beef and with lamb. It’s not full blown demi-glace but it adds that unbelievable richness to sauces. Roast the bones before making the stock for a dark rich flavour. For a lighter flavour you can skip the roasting. I like roasted better. Don’t go too heavy on any other ingredients. Personally I use one onion per big pot of stock. Flavours intensify when reducing so things can get unbalanced pretty easily. I make a batch of it and freeze it in ice cube trays. If you have a vac pac food saver you can use that to store it – otherwise ziplock backs work. I put 4-5 cubes in each vac pac. This recipe makes about 30 cubes or about 1 quart. 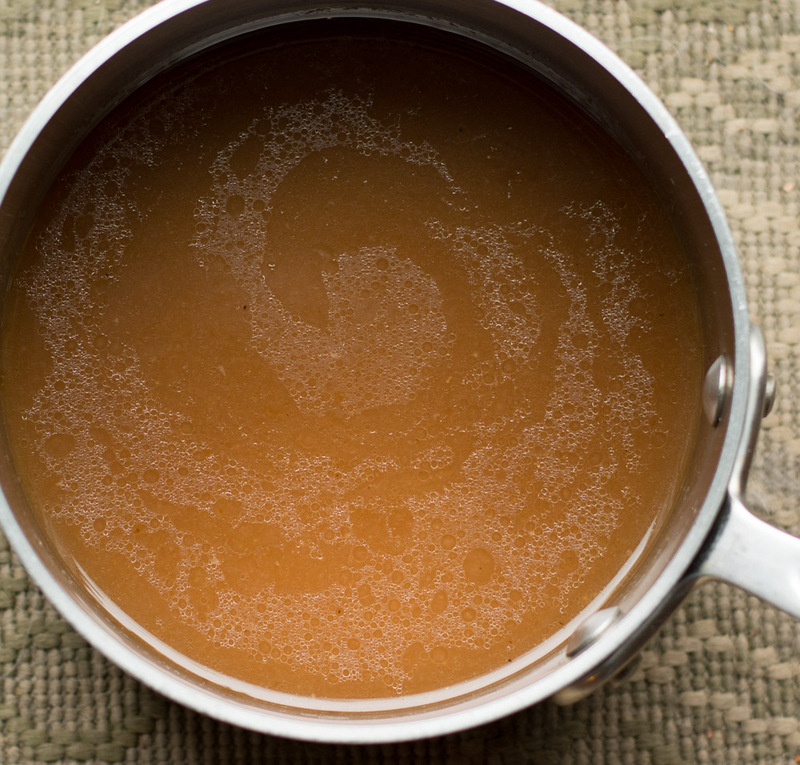 Concentrated veal stock is a great addition to any braised beef or lamb dish. It enriches any pan sauce it's used in, really taking dishes to the next level. Place veal bones on a cookie sheet large enough to contain them in a single layer. Roast for 1 hour turning the bones halfway. 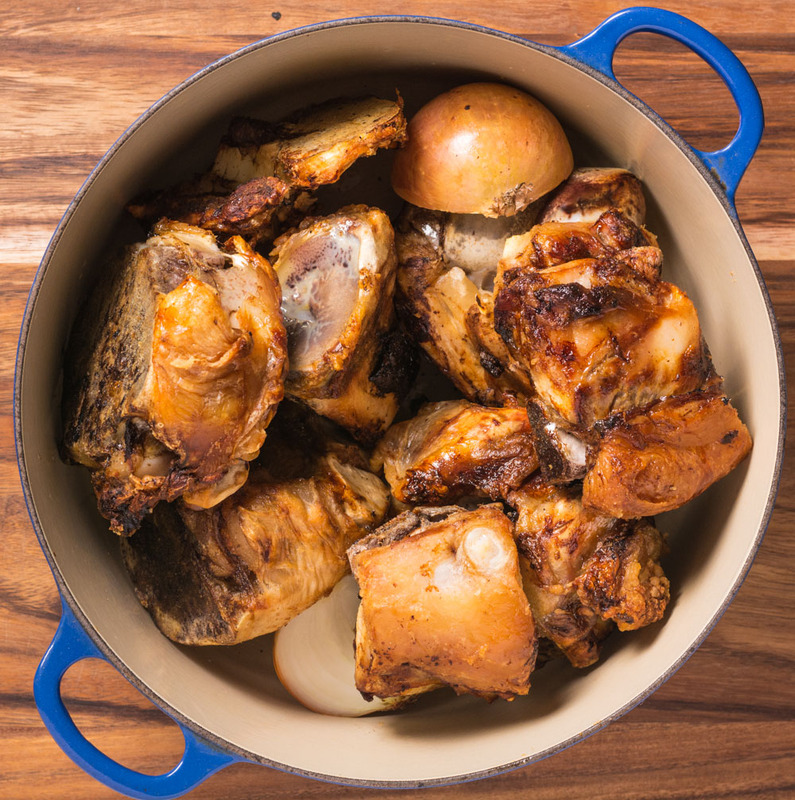 Place bones and onion in a large pot and cover with cold water. Bring to a boil and simmer for 12-15 hours. Remove bones from pot and strain stock. Reduce to about 1 quart. Cool and freeze (ice cube trays make for nice portions) or use within 3 days.